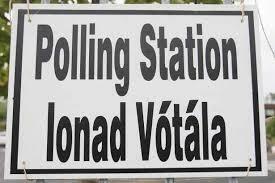 I was hoping to write a post today about the general election going on in Ireland today and try draw a few comparisons to the ongoing farce, sorry election, going on here in the USA. But my wifi wasn’t working so post might have to wait till tomorrow or Sunday. By then the results in Ireland should be known. Did the present government get reelected, is there a coalition, new government or just a mess that will need a new election in a few months. As an emigrant I am not allowed vote, something I have been able to do since I turned 18. My post over the weekend will examine these points and a few more I hope. Election Fever… Or Non Fever!